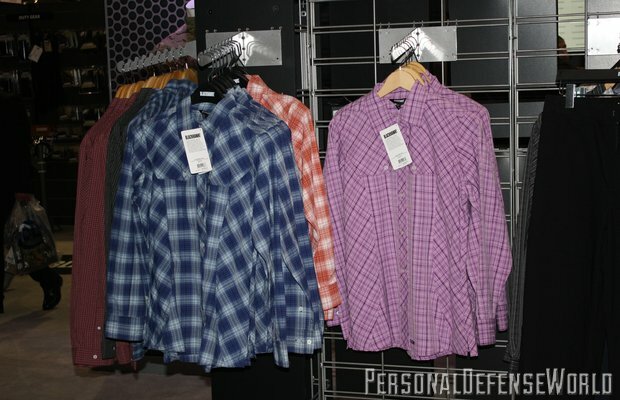 Even More "Ladies Only" Products at SHOT Show 2013! Even More “Ladies Only” Products at SHOT Show 2013! 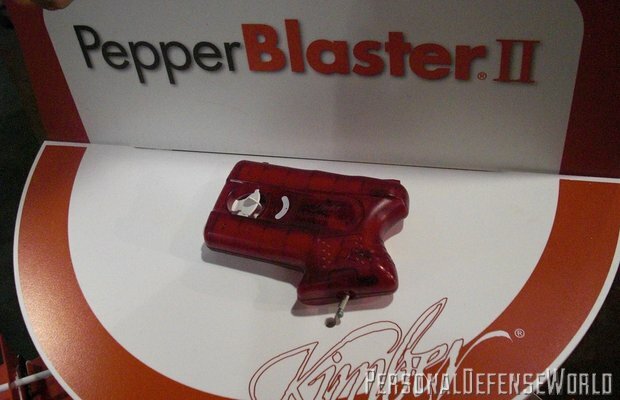 <b>Kimber Pepper Blaster II</b><br /> Kimber’s Pepper Blaster is one of the most effective deterrent sprays available today. 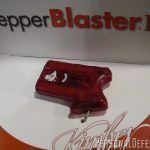 The new Pepper Blaster II uses the same technology as the original Pepper Blaster, but adds a pistol grip that makes holding and aiming the spray feel more natural. 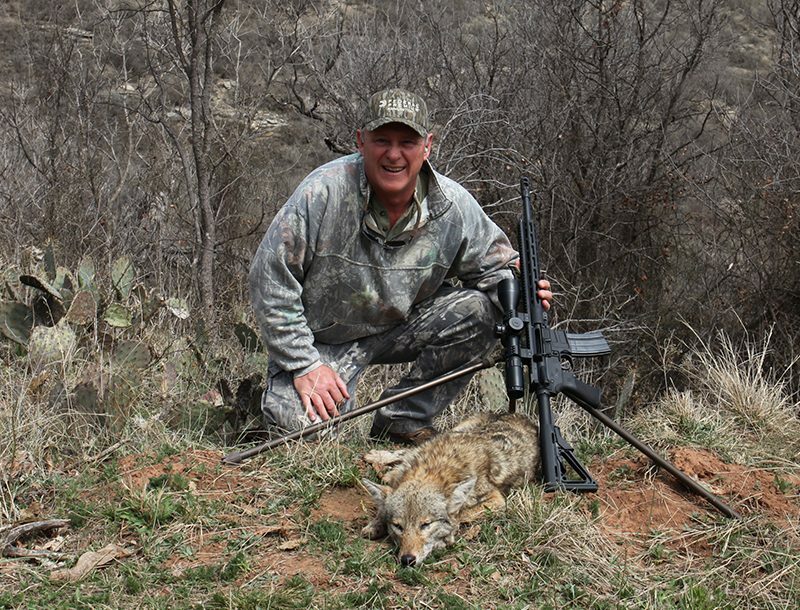 When released, it can blast its chemical irritant to distances up to 13 feet and cause severe irritation and blindness that lasts 45-60 minutes. The spray is formulated for increased viscosity to minimize the risk of it blowing back or drifting. Each unit contains enough spray for two discharges, so a follow up blast is available if needed. About the size of a cellphone, the Pepper Blaster II is available in red or gray, will last for four years, and costs $40 (kimberamerica.com). <b>Blackhawk! Strenia Shirt</b><br /> For 2013, Blackhawk! is adding a long-sleeved version to its one-year-old Strenia shirt line. 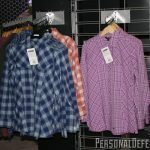 These button-up shirts are made of lightweight, breathable fabric and are cut specifically to fit a woman’s shape. They deliberately fit a little loosely around the hips to allow room for a concealed firearm. Its plaid pattern, available in a variety of colors, disguises the shape of the gun and helps prevent printing. Each shirt also has a vertical zippered pocket on each side that can hold an extra magazine or anything else you might need to carry. The long-sleeved Strenia retails for $50 (blackhawk.com). <b>Galco Carry Safe</b><br /> Galco is offering an innovative new product for carry bags this year: the Carry Safe removable bag holster. This nylon holster attaches via Velcro onto a patch that can be clipped anywhere in your bag. The Velcro allows you to adjust the position and angle of the holster any way you like, making the gun easily reachable. The entire holster mount can be moved from bag to bag very simply, allowing you to convert any purse, briefcase or handbag into a concealment bag. At only $30, this is a bargain compared to the cost of buying multiple carry bags. The holster is available in four sizes to fit most carry guns (galcogunleather.com). 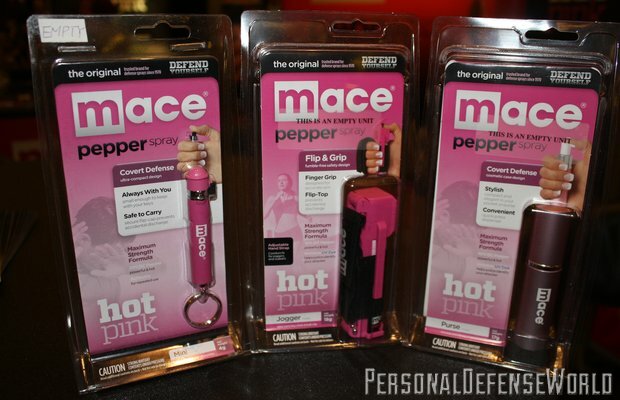 <b>Mace</b><br /> Mace is offering several excellent options for women interested in self-defense. Adding to their existing line of pepper sprays, Mace now has a Mini model that weighs less than a quarter of what their standard pepper spray model weighs. The Mini can be carried on a keychain so easily that you won’t remember it’s there—until you need it. It can send up to six bursts of pepper spray out to a distance of 5 feet and costs $17. 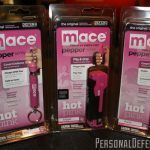 Mace is also offering a Purse model of pepper spray that comes in a rose-colored satin finish and strongly resembles a makeup tube. This is an excellent choice for professional or evening events when discretion is desired. Capable of releasing five bursts of pepper spray up to 10 feet away, the Purse model costs $15 (mace.com). 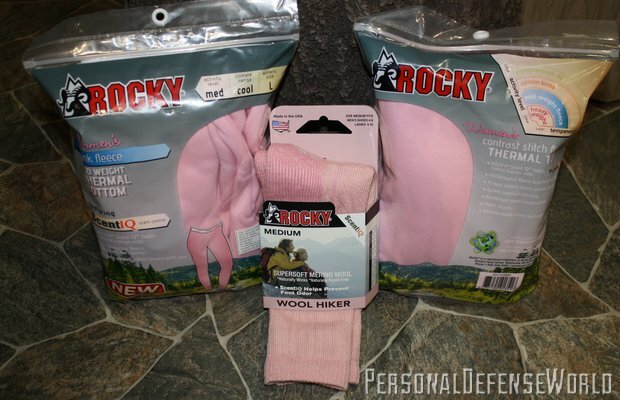 <b>Rocky Women’s Thermals</b><br /> Rocky produces outdoor clothing and boots that can handle even the coldest weather. Although an outdoorswoman may be able to get away with a man’s coat and gear, the inner layers need to be a bit more fitted. Rocky’s Women’s Base Layer thermal top and bottom ($25 each) are designed to fit a woman’s body and to create a warm, comfortable cushion for the outer layers. The polyester micro knit contains SIQ Atomic technology to manage moisture and provide the scent control that is so important when hunting. The design even reflects the outdoorswoman’s mix of femininity and toughness, pairing a light pink torso and legs with camouflage sleeves. 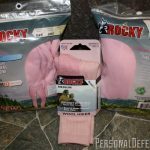 Wear them with Rocky’s matching super-soft merino wool socks (rockyboots.com). <b>Deep Conceal BRAT Holster</b><br /> Arriving March 2013, the BRAT holster is designed to be secured to the center of one’s bra using a Velcro strap, which allows flexible positioning and angling of the gun. For many women, this is one of the least visible means of concealed carry, since it avoids the tighter clothing around the hip and waist. 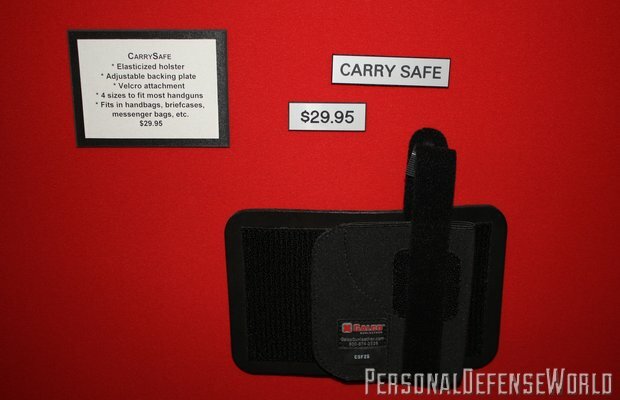 The soft holster is able to accommodate a range of smaller handgun models (deepconceal.com). <b>Women’s Hunting Boots</b><br /> The Original Muck Boot Company has a line of boots designed with the outdoor woman in mind. The Women’s Woody Max is ideal for cold-weather hunting, with a fleece lining and internal foam padding to keep out the cold and cushion the soles. 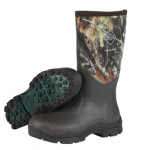 Priced at $160, it is contoured to fit a woman’s foot and features the Mossy Oak pattern on the exterior. 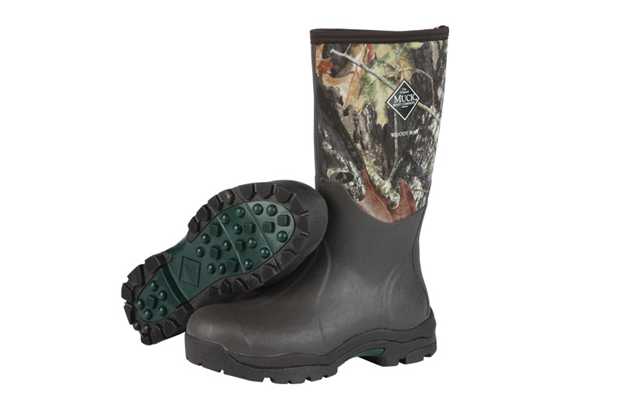 The Women’s Wetland is designed for wetlands hunting, with an elastic topline to keep the top of the boot snug against the calf. The insulation is waterproof and features additional Achilles support for hiking over soft ground. The Wetland boot retails at $140 (muckbootcompany.com). <b>Blackhawk! Tech Hoodie</b><br /> Blackhawk’s new Tech Hoodie for women is a hooded pullover sweatshirt with a hidden compartment in the front pocket for handgun carry. For those who prefer a waistband holster, the hoodie’s front pocket also has an opening through which the waist can be reached without having to actually lift up the sweatshirt. A garment this discreet of course comes in the most inconspicuous of colors: gray, navy, or black. The hoodie also has a light resin grid pattern on the elbows to prevent wear. The Tech Hoodie retails at $50 (blackhawk.com). 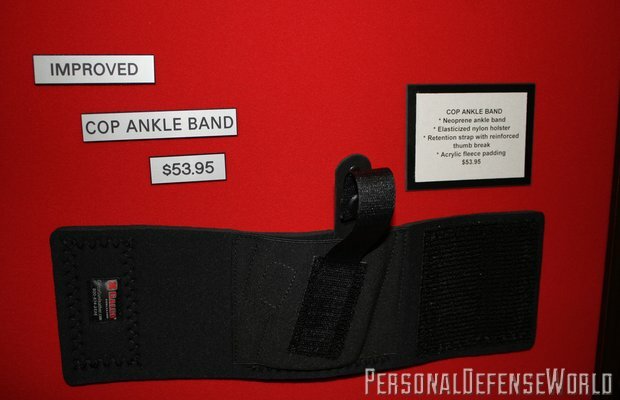 <b>Galco Ankle Holster</b><br /> New for 2013, Galco introduces the Cop Ankle Band, an excellent concealed-carry option for women who do not want a waist holster, but still require availability and discretion. 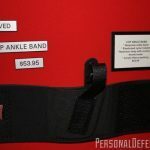 The ankle band is made of neoprene and features a comfortable fleece lining and Velcro closure. The holster itself is elastic nylon to accommodate a range of small handgun models. 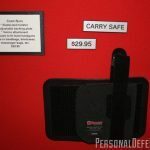 Priced at $54, the holster also features a retention band to hold the gun in place (galcogunleather.com).